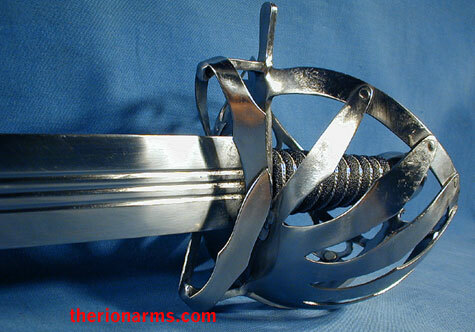 grip and pommel: 6 1/4"
guard: 8" x 6 1/4" x 5 1/4"
Cold Steel calls this sword their "Horseman's basket hilt broadsword", but it's actually a schiavona. 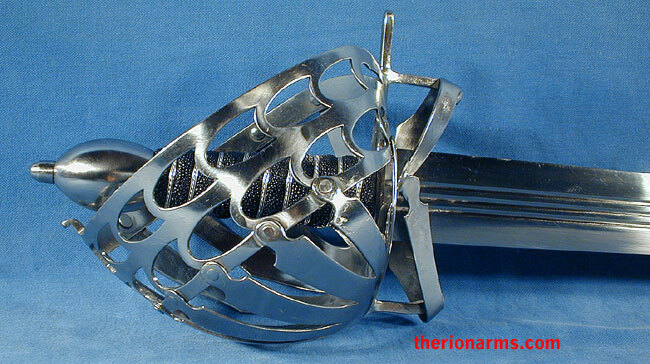 Schiavona are most famously considered a Venetian sword because of the spectacular collection in the Doge's Palace museum, but these basket hilted broadswords were found throughout central and eastern Europe. 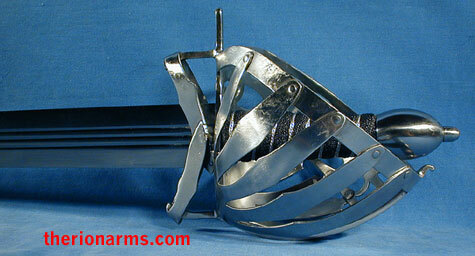 This early schiavona has a long double edge blade that can deliver powerful shearing cuts well as a deadly thrusting attack. 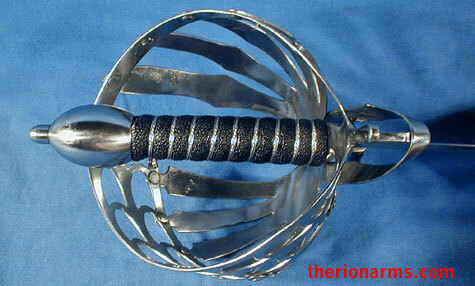 The grip is wood wrapped in same (ray skin) bound with wire. 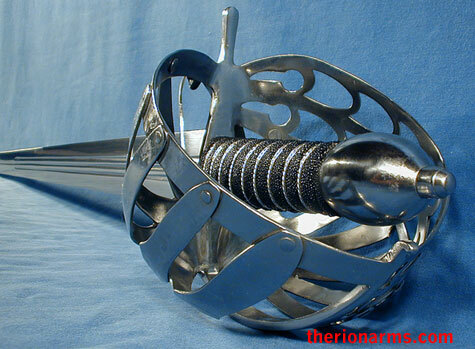 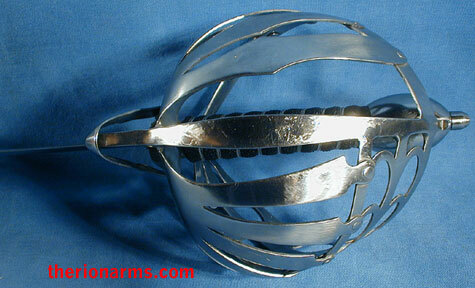 The heavy steel pommel counterbalances the blade and serves as a lethal striking tool in its own right. 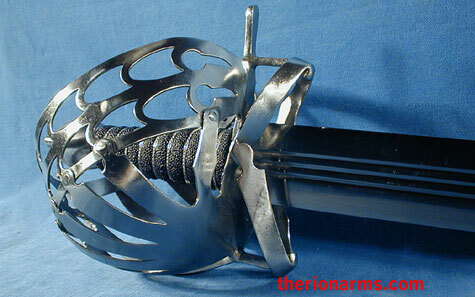 The blade is made from modern high carbon spring steel and will pass the British Proof Test. 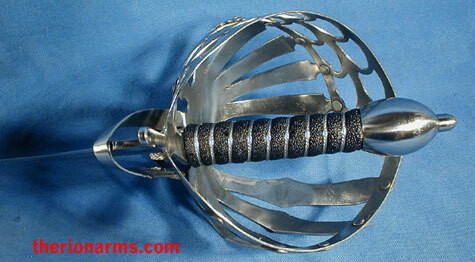 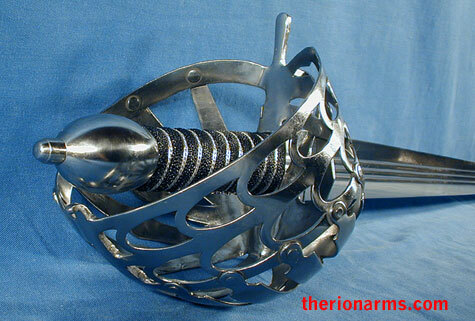 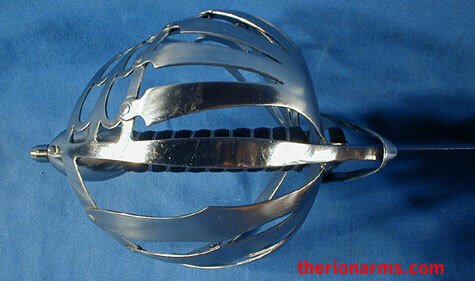 This sword comes complete with a heavy leather scabbard reinforced by the steel throat and chape.